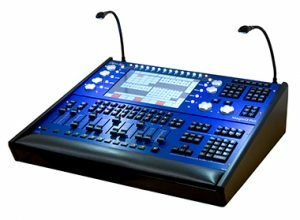 Production Hire offer a Lighting Control Dry Hire service, this service is for when equipment only is required and clients do not have a requirement for engineers or technicians. Equipment can be collected from our premises or we can deliver and collect if required. 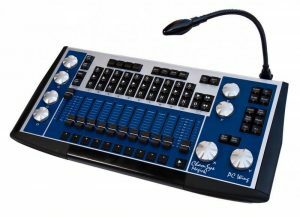 We have a wide variety of lighting control available for dry hire. 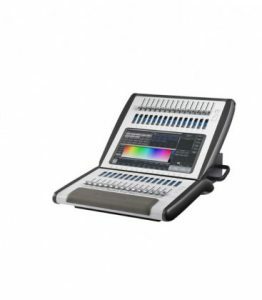 Click one of our buffer racks or distros below to see more info or contact our experienced team and they will be happy to assist you in meeting your lighting control dry hire requirements. 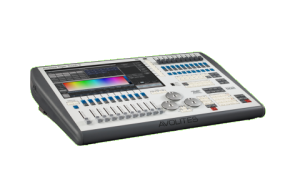 The Avolites Tiger Touch II represents the perfect combination of power and portability. This third generation console is packed with enough power for complex show. The Tiger Touch Fader Wing offers 30 additional faders for instant access to all of your playbacks, fixtures and palettes. 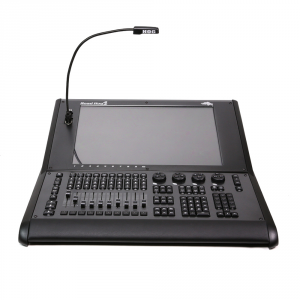 The Sapphire Touch is high performance, with more submitters, more flash and executor buttons, and the power to control the larger, more challenging shows. 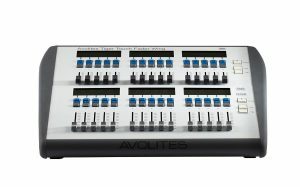 The Avolites Sapphire Touch Wing allows you to expand your control surface. An extremely powerful USB control wing for connecting to your PC or Mac to control lighting, video & LED with the MagicQ PC . 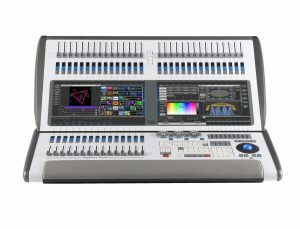 Provides an immensely powerful control console – 64 universes direct via ArtNet, ACN or Pathport. All 64 universes are processed onboard – no extra processing nodes required. Road Hog 4 strikes the perfect balance between performance and economy. The programming interface remains familiar, and the ergonomic of Road Hog’s compact chassis are unparalleled. 63A 3 Phase Distro with 3 x Socapex outlets, each is run off a separate phase with a 63A 3 Phase trailing lead. In a 19″ rack mount in a 4U case. 125A 3 Phase Distro with 6 x Socapex outlets, 2 run off each phase. 125A 3 Phase inlet on the back of the distro along with a 32A 3 phase & 63A phase outlet. In a 19″ rack mount in a 4U case. Powerlock 250A 3 phase distro with 6 x Socapex outlets, 2 socapex run off each phase. Has a powerlock 250A inlet and thru connectors. In a 16U wheeled 19″ rack. 2U 19 inch Rach containing 2 x Showtech DMX Buffers/Splitters. 4U 19 inch Rach containing 4 x Showtech DMX Buffers/Splitters. 8U 19 inch Rach containing 4 x Showtech DMX Buffers/Splitters, 1 x Artnet Node & 1 x Network Switch. 12U 19 inch Wheeled Rach containing 8 x Showtech DMX Buffers/Splitters, 2 x Artnet Node & 1 x Network Switch.